Though originally short for British Petroleum, the multinational oil and gas company simply operates under its initials now, known as BP worldwide. BP can trace its roots back to 1908 and the original discovery of oil in what is now the country of Iran. Today's BP operates a large number of oilfields around the world, including in the US, as well as other similar drilling and mining operations, all in addition to the thousands of familiar BP consumer-focused gas stations. For those who regularly fill up at one of those BP gas stations, the BP Credit Card offers a way to save at the pump on the occasional gas purchase, but the card's high APR, lackluster (and convoluted) rewards system, and lack of usability anywhere but BP all make the card a less-than-awesome option. 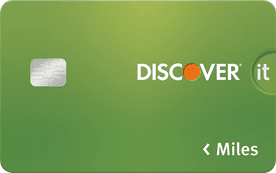 The most immediately noticeable aspect of the BP Credit Card is its astronomical 28.49% APR, which is high even in comparison to other store cards. An APR like that can make an already-costly fill up even more expensive. And don't expect much help from the rewards. The BP Credit Card's rewards system is not only limited and convoluted, it's also not all that rewarding. According to the advertising, the BP Credit Card ostensibly earns 10¢ off per gallon for every $100 you spend with your card at BP gas stations, with new cardholders earning 25¢ off per gallon for every $100 during the first 90 days. So, what does that really mean? In actuality, you earn a credit for 0.1¢ — or $0.001 — off per gallon on a future gas purchase for every $1 in qualifying purchases ($0.0025-per-dollar during the first 90 days). Once you've earned at least 1¢ off per gallon worth of rewards, you'll get the option to redeem your rewards when you swipe your card at the pump. You can only redeem your rewards on up to 20 gallons per redemption. Looking at the numbers, if you're earning 10¢ off per gallon on 20 gallons for every $100 you spend, you're effectively earning 2% cash back rewards with the BP Credit Card on BP-branded gas purchases (5% during the first 90 days). Of course, that's assuming you pump 20 gallons every time you redeem your rewards. With a smaller car sporting a 10-gallon tank, you'll likely only get half the value. You do have the option to skip the pump and redeem your rewards for a statement credit, but that's not exactly straight-forward, either. Essentially, if you choose to redeem for cash back, you'll get the cash equivalent of your cents-per-gallon for a 15-gallon fill up, which amounts to 1.5% cash back on BP gas purchases. Furthermore, although there's no cap on how many rewards you can earn, there is a maximum cents-per-gallon you can redeem for a single transaction. In other words, no matter how many rewards you accumulate, you'll never get free gas at the pump. Instead, the minimum amount you can pay with rewards is 10.9¢ per gallon. 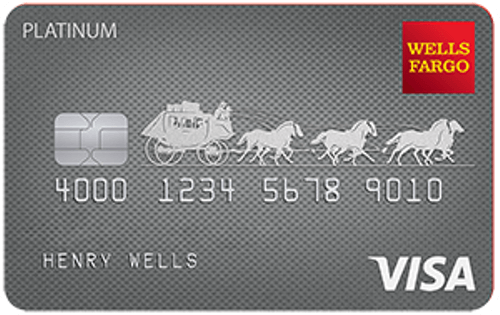 The only thing that would really make this card worthwhile to anyone is if it was available to those with bad credit. Fortunately, that doesn't seem to be the case. You'll likely need at least fair credit to qualify. While some gas stations may accept applications, the easiest way to apply for the BP Credit Card is through the online application found through the link below. The BP Credit Card is a poor value for most people. Indeed, unless you exclusively purchase BP gas and have a vehicle with a gas tank large enough to utilize the full value of your redemption, you'll be unlikely to get even 1% cash back from your BP Credit Card. This means nearly any other rewards card on the market will probably give you a better rewards rate. And that's before you consider the giant APR, which is barely competitive even in the subprime credit card market, let alone for anyone with a decent credit history. The vast majority of consumers are better off with a card that has more oomph — and less complexity — instead. Not only will most rewards credit cards offer you at least the same 1% cash back you'd likely get from your BP Credit Card with a smaller vehicle, but many rewards cards will provide bonus cash back rewards for gas station purchases — any gas station, not just BP. So you can potentially earn up to 5% cash back anywhere you fill up. With an APR over 28%, the BP Credit Card isn't winning any low-interest-rate contests, except maybe with the worst of the subprime credit cards. And it certainly can't compete with the awesome 0% APR offers available from a number of quality credit cards. Filling up your gas tank to carry on with the same old daily commute can make anyone yearn for a little vacation. Using a travel rewards credit card to make your gas purchases can turn a regular chore into a way to save on your next great trip. Pairing a sky-high APR with a sub-par rewards program, the BP Credit Card is unlikely to hold much appeal to many people. Especially in the face of the wide range of better credit cards that are out there. Instead of limiting yourself, choose a card with better rewards, a better APR, and more flexibility. Customer service seems to be at the heart of many complaints about BP's credit cards, though the so-so rewards are also a point of contention for many reviewers. And the card's high interest rate is definitely a topic of interest in a number of consumer reviews. Is the BP Card Right for You? Given the seemingly constant increase in gas prices, it makes perfect sense to use a good rewards credit card to take the edge off of the high cost of filling up your tank. Unfortunately, the BP Credit Card isn't the right choice for the vast majority of people. Almost any cardholder should be able to find a better alternative for gas rewards among the all-purpose rewards credit cards on the market.